Bobby: [looking at his hands] Did you ever wonder why we are always like wearing gloves? Beret Girl: Max, Max, Max. Admit defeat, and defeat will surely admit you into permanent custody, my man. Goofy: I'm not gonna be at college to pick up after you. 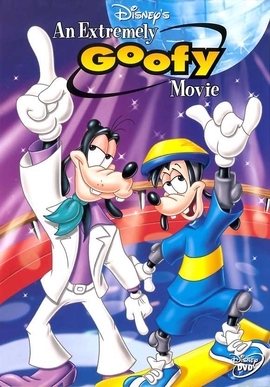 Goofy: In fact, it's gonna be a long time before you see your old man again. What, maybe Christmas? Max: Ah, Dad, it'll go by fast. Max: Not TOO fast, I hope. Bobby: Don't worry, bro! I'm a yellow belt! P.J. : [after hearing the name of a fraternity] Moo moo... Who wants to join a herd of cows? Bobby: [half-asleep] Mommy! I didn't do it! P.J. Pete: Okay, stay back, man! I have a biscotti, and I'm not afraid to use it. P.J. : Hey, dudes! Check out who's following us! Max: Let's just make sure it stays that way. P.J. : Try hangin' a Louie. No, no, wait, that's the other Louie. Max: Louie, Huey, Dewey? What are you talkin' about here, huh? Bobby: Yo, it's right here, it's this way. Max: Yeah, Peej, Bobby's right. Max: Um... Hey Bob, um, who's driving? P.J. : Hey! It's the leaning tower of Cheese-ah! Pete: As long as you know that four quarters equals a simolean, you'll survive. Bobby: This place puts the "rage" in "outrageous." Tank: Help me! Anyone! 911, baby. Max: Tank, talk to me! Tank: Dog boy, am I glad to see you, sweetheart. Goofy: Did you brush your teeth? Max: Uh-huh. Goofy: Comb your hair? Goofy: Did you put on clean underwear? Max: Peej, isn't ten hot dogs enough? Goofy: Don't forget to have some milk with those donuts! Goofy: The world will be your clam. Goofy: No thanks. I'm saving room for wienies. Chuck: [after Goofy's skateboard performance] Perfect 10's straight across the board! Except the German judge. 9 on that one. Bobby: Hey Max, is my vision blurred, or doesn't that guy look like your dad? Max: [grabbing and ringing at Bobby's shoulders] Kill me, just kill me now! Bobby: Free eats at the dorma. Pizza! Double cheesa! Max: Let's do it to it! Max: Gentlemen, welcome to the first day of the rest of our lives! Bobby: That's pretty deep. You get that line off a bumper sticker? Goofy: [as Bobby drives the van away] Goin' already? What about breakfast? You need your three squares a day! Max: [hanging out of the window] Don't worry, Dad! We'll pick up some donuts on the way! Goofy: [sadly] One day you're changing their diapers, the next they're leaving for college. Pete: [cheerfully] Well, Goof, the way I see it; this is my last night of babysittin'! P.J. : It is endemic to our society that those of large stature are overlooked, except by vultures. They do not notice the depth of our feelings, the passion of our hearts, the beauty of our moments. Beret Girl: Such a bundle of yes-ness? Let's dance. Max: We'll dethrone you and your friends, Your Royal LOWNESS.